Authors of this issue of the journal analyze various problems of historiography and history of Africa. 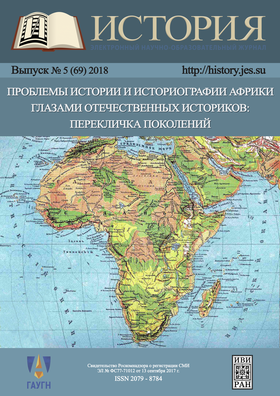 The articles are devoted on Russian-African relations at various stages of their development, the factors of the evolution of Russian African studies, as well as a wide range of factors that determine the development of African countries and the relationship between them. New documents and materials of archives, mass media and memoirs provide an opportunity to find relevant approaches to the problems under consideration.